13 September 2017 at 6.30 pm. screening of Letters from Baghdad at the British Academy, 10 Carlton House Terrace, London SW1Y 5AH. Reception to follow. 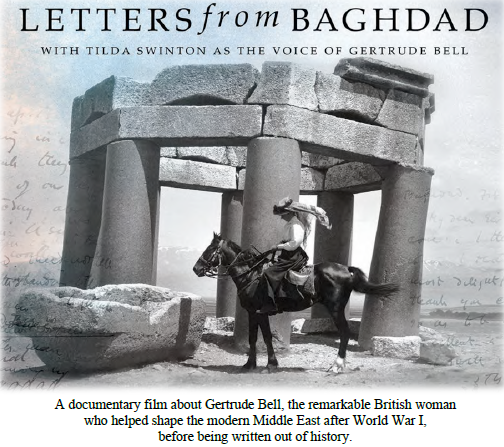 Letters from Baghdad, a documentary film about the life of Gertrude Bell directed by Sabine Krayenbühl and Zeva Oelbaumtells the extraordinary and dramatic story of Gertrude Bell, the most powerful woman in the British Empire in her day.